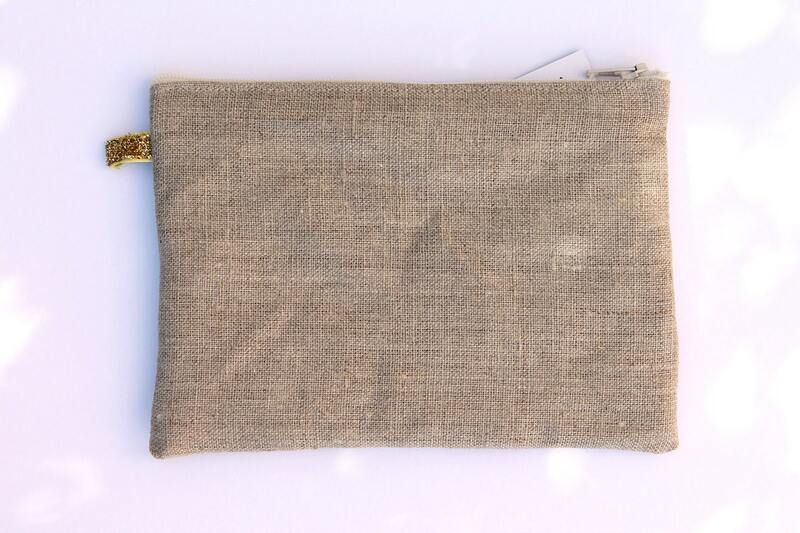 CLUTCH, purse, cosmetic case in natural linen. Original illustration printed on the front (heat transfer). Natural linen back. 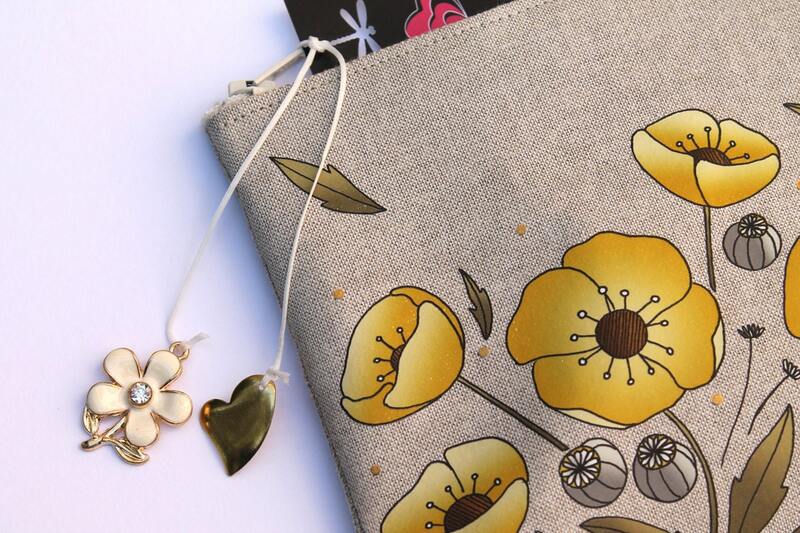 Zipper closure and small jewelry bag to finish (gold metal flower and heart). 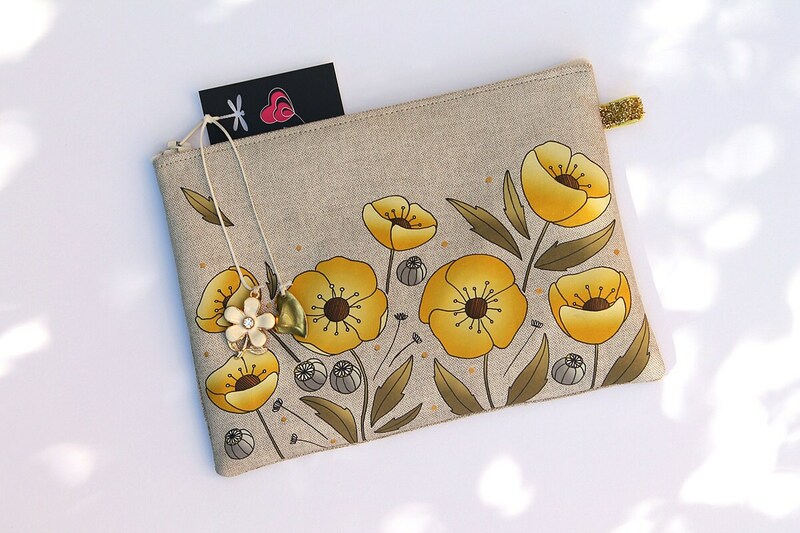 Illustration depicting yellow poppies is accented with polka dots gold.